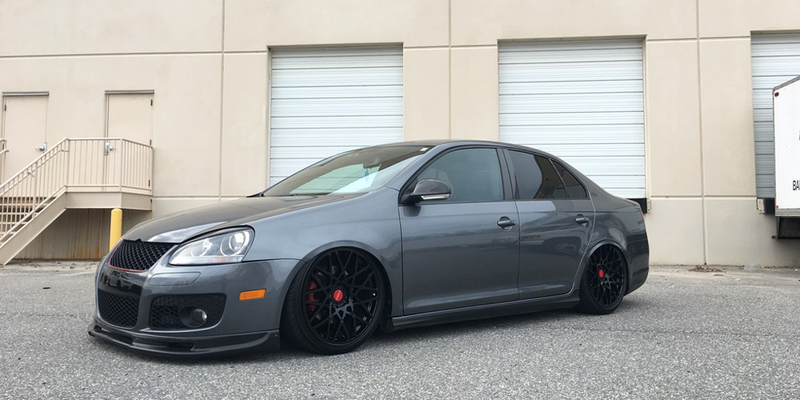 To wrap up our series of Jetta articles, today’s Find of the Day is one sharp MK5 GLI. For a rather low price, you can add this little rocket to your garage. This 2007 GLI is quite Audi-esque. Just like what’s in the A4, the true star of this show is the direct-injection 2.0T engine. With 200HP and boatloads of torque, the award-winning engine caught many competitors by surprise. With a simple re-flash of the ECU, many chip tuning companies are able to extract amazing performance numbers from the little motor. Having owned a “chipped” MK5 GLI for 13 years, I can attest to the surprised looks I got from passengers on freeway on-ramps. It’s a screamer. After signing the paperwork, head straight to your local tuner, the performance is night and day (and I should add I never had a problem with the engine after tuning). This GLI is very well maintained. The body is great condition. The platinum gray finish looks as smooth as glass. Inside, the Clark plaid seats are in great condition. The flat-bottom leather steering wheel shows no wear. There’s an aftermarket shift knob. Carbon fiber trim replaces the original stainless steel on the dash. There’s a boost gauge perched atop the steering column, and a Pioneer touch-screen head unit sits in the center stack. This is also a DSG model: our readers not familiar with clutched transmission should take notice. Outside, the GLI has many enhancements. First, there’s an Airlift airbag suspension with controls tucked away in the center bin. The car sits on large Rotiform BLQ wheels with red center caps. The Jetta sports a badgeless grille and headlight “eyelids” up front. Out back there are slick Euro LED tail lights. FYI: the car has a different air dam than the one in the photos. Mechanically, it has a full exhaust system, a cold air intake, and catch can. The car recently had the timing belt and water pump replaced and a full DSG service. The car is a driver and is ready to take you anywhere. There are two flaws: the headliner is sagging (typical on this model), and the cam chains will need to be serviced soon. But that’s it. Two final selling points we should call out on this GLI: it only has 108,000 miles, and the seller, VWVortex member mk7_zach, is asking a low price for this lowered GLI: $7000. Quite an aggressive price for everything included. Take a look at the ad in our forums, or check the car out personally: it’s somewhere in Maryland.